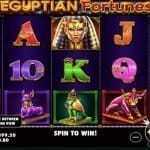 Tree of Fortune is a slot game powered by iSoftbet software for which reels are 5 and paylines are 243. It means this is one of the best slot that we have these days which offers a great 243 ways to win. You can play Tree of Fortune slot at your place using desktop, tablets or either mobile phones for a coin size of just 25p to £25 per spin. This Chinese-themed slot can be played for real money at any iSoftbet casinos. The game features 2 rounds of bonus feature which can offer you free spins from 15 to 30 and up to 3x multiplier of your total stake. 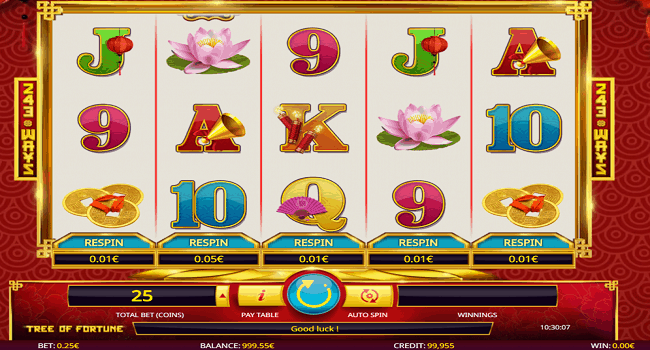 The reels of this beautiful slot game are being set against a red backdrop and you will find different kinds of symbols in this game such as A to 9 royal values, firecrackers, a lotus flower, gold coins and gold cat statue. The game also features The Golden Rooster symbol which is the best paying symbol of this game and it can offer you 160 times of your total bet if you land 5 of these symbols across a payline. The golden dragon wild can substitute all other symbols excepting the scatter and it only appears on reel 2 and reel 4. If you are landing 3 of the scatter symbols in this game then you will pocket 50 times of your total stake, 4 scatters will give you 250 times of your total bet, however 5 of the scatters will offer you 2,500 times of your total stake with 30 free spins. 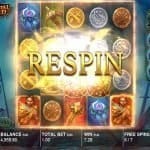 The scatter symbols will activate free spin bonus feature, where you could get 15 to 30 free spins. 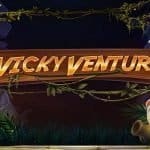 Hence if you are looking to a Chinese theme online video slot game then the Tree of Fortune could be the best option for you. Start playing the game and you can win thousands of dollars for sure.